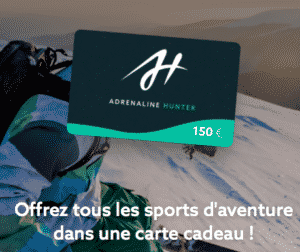 In this article we explore a selection of activities to try out on Reunion Island, easily one of the most beautiful places on earth to practice outdoor sports. Located in the heart of the Indian Ocean, the island of Reunion evokes images of sumptuous landscapes, exotic and lush vegetation and beautiful sandy beaches. Reunion is dramatically full of contrasting lanscapes between volcanic heights, ideal for canyoning and speleology, a jungle full of flora and flowers, perfect for long hikes, and beautiful blue waters that will delight any diver or paraglider. The island itself is structured around one of the most active volcanoes in the world, Piton de la Fournaise. Lava flows, mountain passes, and numerous craters add to the wild beauty of Reunion. This extremely varied geography makes the island a paradise tailored to all thrill-seekers, with more than a dozen extreme activities all situated in close proximity due to the small size of the island. The many canyons formed by volcanic activity and heavy rains in the centre of the island form breathtaking landscapes, and a canyoning descent is a must-do for visitors to Reunion. Another way to enjoy the unique scenery is by taking to the skies through parachuting or paragliding, both amazing ways to appreciate the beauty of the island and its coasts. Furthermore, since 2010 Reunion Island and its volcanoes, peaks, cirques and ramparts have been part of Unesco World Heritage. Surrounded by dreamy waterfalls in this sensational tropical setting you’ll be hard-pressed to find a setting more perfect for kayaking or canoeing. 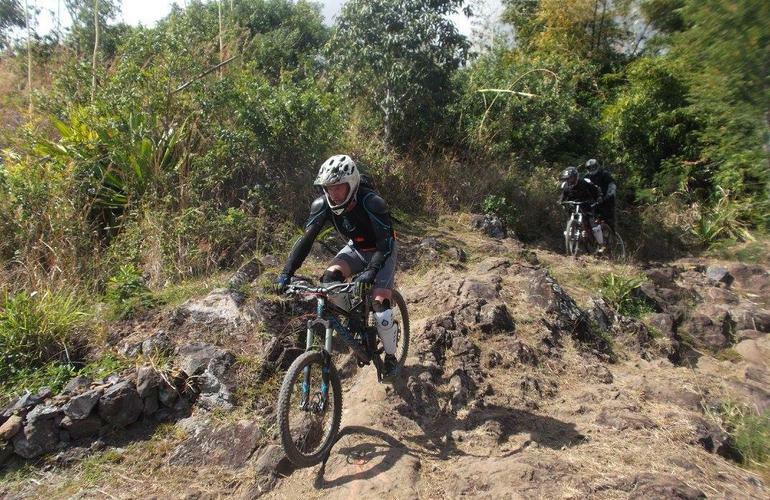 This activity is reserved for sports enthusiasts but doesn’t require any previous level of experience to enjoy it, making it one of the most accessible sports on the island. Furthermore, the boats used are very easy to get the hang of allowing maximum time on the water having fun rather than training on land. 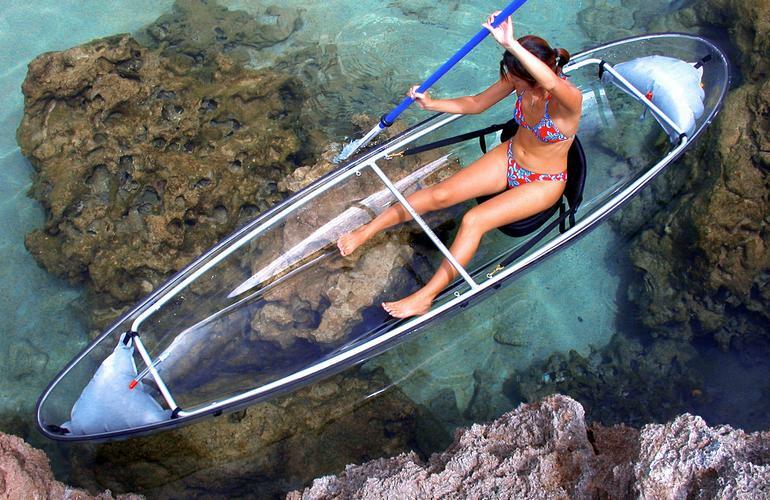 For a truly unique experience, take to the water in a transparent polycarbonate canoe-kayak (Molokini), and make the most of this rare way to explore the underwater community of Reunion Island. Not only is this a fun and exhilarating activity, but it’s also a great way to raise awareness and educate people on this fragile environment, Glide over the corals and fish and keep your eyes peeled, because if your lucky you could find yourself paddling alongside turtles and rays! This fun and ecological activity is accessible to all. 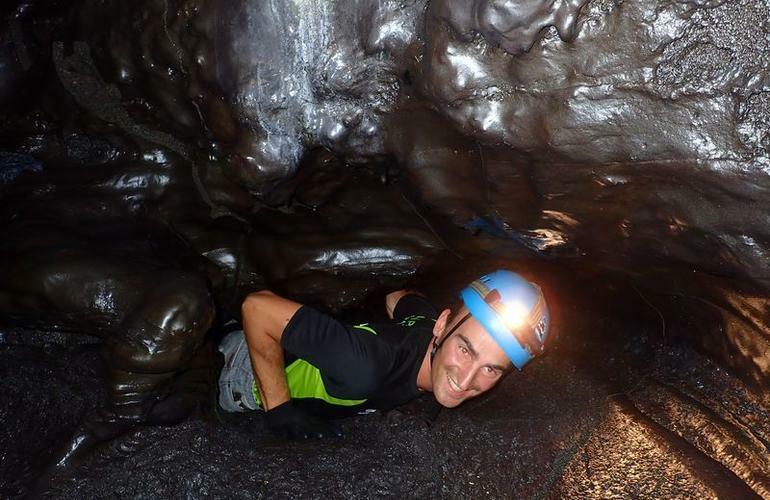 Climb the famous Piton de la Fournaise on Reunion Island and visit the lava tunnels with a mountain guide specialised in volcanology. Come experience an unforgettable trip and discover the main attractions of the volcano, its summit with its craters plummeting down to more than 300 meters in depth, as well as the 1998 tunnel and its large solidified lava stalactites and stalagmites. Lose yourself in an unknown dimension, discover new horizons and become an explorer by diving into the hidden world of these lava tunnels. 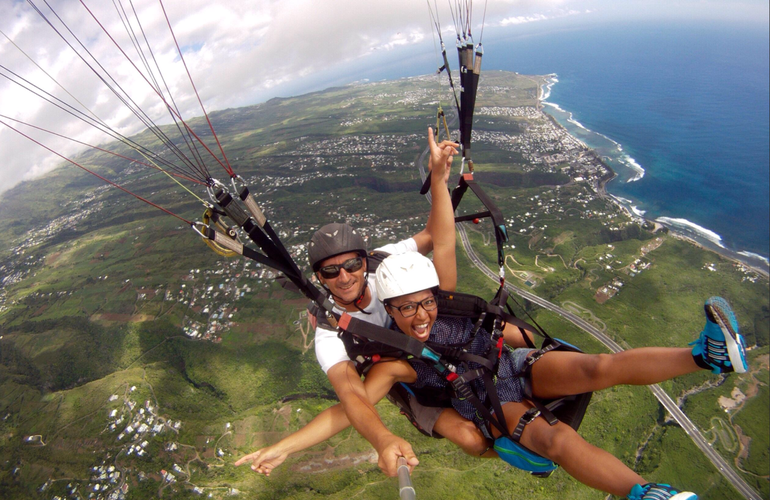 How about experiencing the beautiful island of Reunion from a height? Come discover the Saint Leu region with a superb paragliding flight, be surprised by its turquoise water lagoons and the unique vegetation seen from the air. Finally, to finish of the adventure, you’ll touch your feet back to ground on a beautiful sandy beach. Regarding the parachute jump, we recommend the excellent Bourbon club, the only skydiving centre on the island of Reunion with different training sessions and flights over the volcanoes of the island. 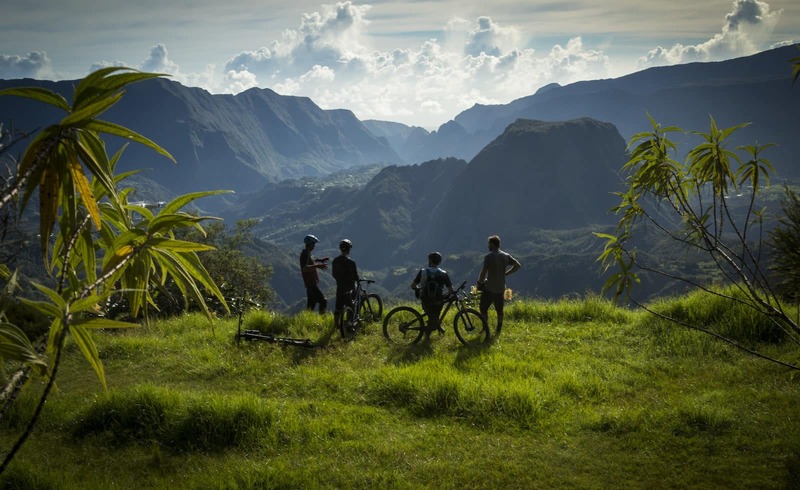 Located in the middle of the Indian Ocean, Reunion Island sits at an altitude of 3000 metres, a dream spot for downhill mountain biking. The island is full of extraordinary places to practice this exhilarating activity and Mount Maïdo is certainly the most beautiful corner of the island (if not one of the most beautiful in the world) for an unforgettable descent. Begin your excursion at an altitude of 2200 metres at Mafate, a huge crater that can only be accessed on foot or by bike. Then, cross the Cryptomerias forest where the adventure will really begins, and tackle a few technical passages in the Tamarins forest, taking a few well-deserved timeouts to admire the spectacular view of the volcanoes After leaving the forest, experience the sensation of the sky and the Indian Ocean becoming one… a truly sublime site to behold. Covering an area of ​​only 2,512 km/2 in the middle of the Indian Ocean, Reunion Island is a true Mecca for canyoning, as the island is full of spots perfectly tailored to this practice. There are no less than 70 equipped canyons, 131 kilometres of course and a vertical elevation gain of 28,000 metres to keep you busy on. On of the main advantages of this spot that canyoning is accessible all year long in Réunion, with water temperatures varying from 10 to 14°C in the winter and 18 to 20°C in the summer. The island of Reunion is particularly famous for the beauty of its landscapes, dramatically shifting from volcanoes to forests and canyons to ramparts. Picture yourself walking to the top of the Piton de la Fournaise, the highest point of the island or the extinct volcano. Make the most of an ascent on the roof of the Indian Ocean and a rare opportunity to experience a sunrise at 3070 metres above sea level with breathtaking views. 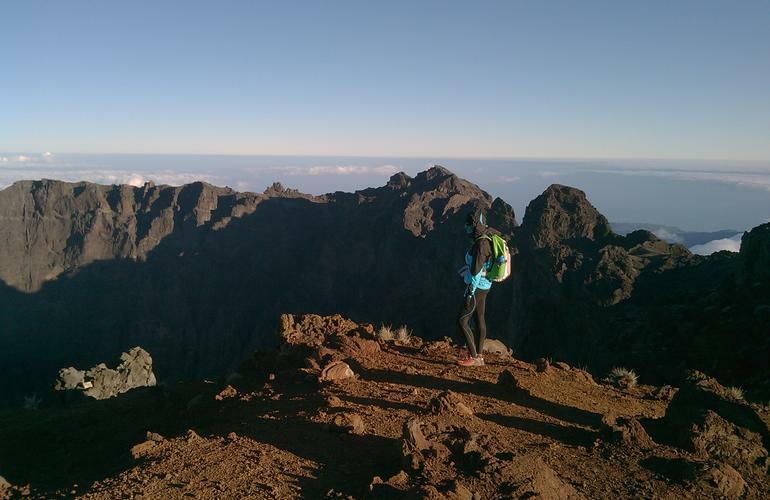 There are dozens of potential hikes in Reunion with fantastic panorama views always guaranteed. 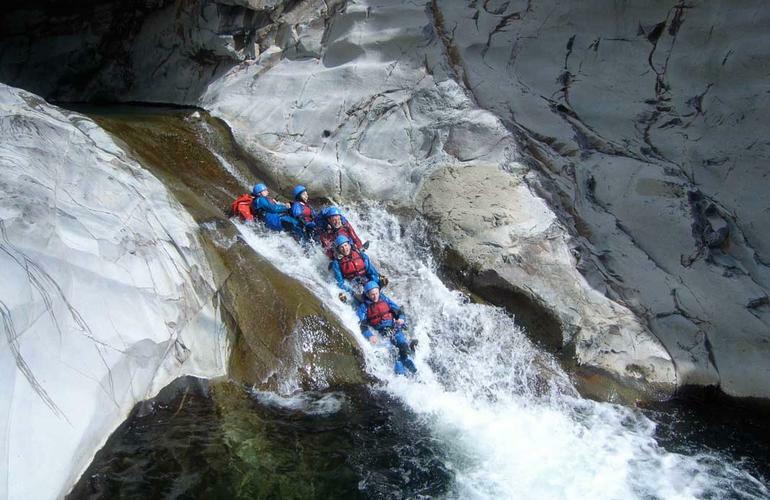 Thrill-seekers, adventurers and lovers of whitewater, this activity is for you. Rafting, as we are sure you know, takes place in an extremely stable inflatable boat on a tumultuous river, each raft is kitted out with a crew of 4 to 7 people to navigate the watercraft safely through the waterways. Jump aboard with a certified instructor on these large boats for a memorable descent in an exceptional environment. 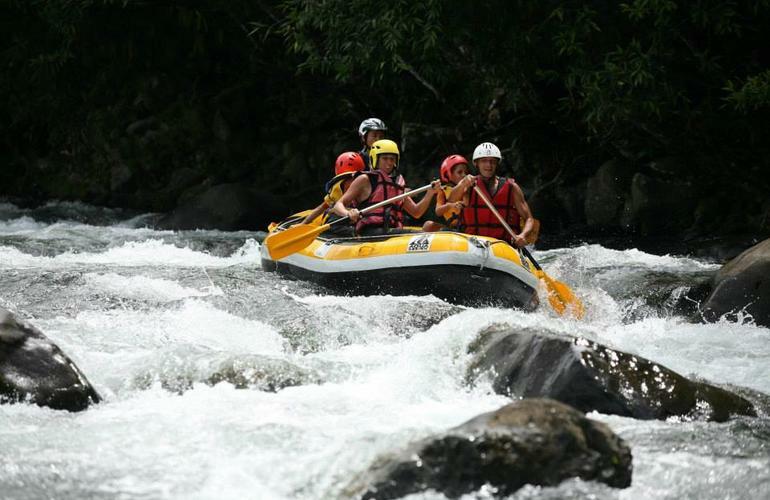 In Reunion, this activity takes place on the Rivière des Marsouins on Coco Islet, the only river on the island large enough to practice rafting comfortably. Ride these fresh water currents with family and friends and experience thrills, bumps and splashes on your water bound journey through this great island. This isn’t an activity that can be practiced officially with supervised courses, but that’s part of the fun and is why a downhill longboarding is a sport that deserves its place in our selection. Carved out with its volcanic paths and steep slopes, Reunion is a great place for downhill skateboarding, a practice that’s loaded with danger and excitement due to the tight turns in the roads, but even if it’s just for the view, it’s well worth a look. Skating on these downhill mountain roads, from a very high altitude, is an extreme and intense activity only suited to the brave, experienced (and slightly crazy) thrill-seekers of the world! We have already talked about it above but the exploration of the seabed on this island is an experience that you’ll really have to try because it will stay with you forever. The richness of the fauna and flora in Reunion is unique, and every dive is expertly supervised to avoid any risk. Come and discover the crystal clear waters and incredible underwater diversity of Reunion, where you can explore the coral reefs, caves, wrecks and if you’re lucky, tuna, whales and dolphins! 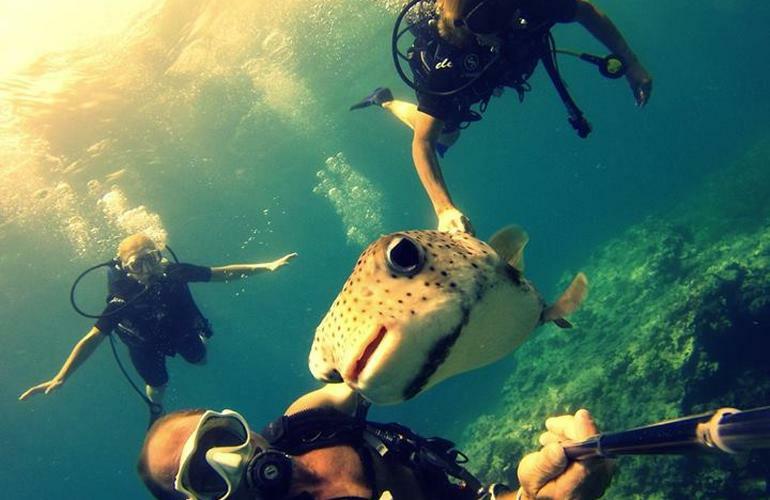 In addition to diving with oxygen tanks, it’s also possible to learn free diving, giving you the chance to admire the underwater depths of the ocean with your own breath. The volcanic rock is covered with live coral, a wide variety of coral fauna and the beautiful nudibranch molluscs. Not short of activities to do in the water, Reunion also offers you the opportunity to do a wake boarding or water skiing session at Colosse Wake Park, the only cable system in Reunion Island. This activity is open for all those aged from 6 and above, and is a perfect blend of physical ability and fun that’s guaranteed to a provide maximum thrills. Wakeboarding in this park consists of being towed around by a cable while standing on your board and cruising around in total (shark-free) security. So, come on down and test you balance and carves with this fun-filled water sport! 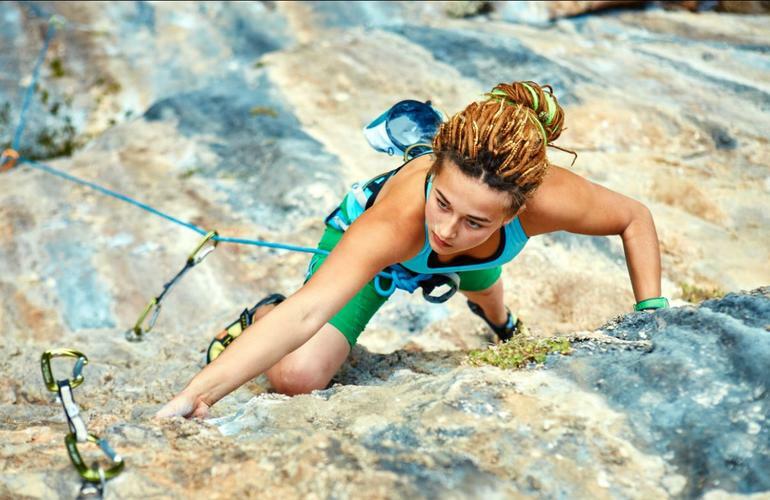 Reunion Island and its volcanic basalt rock offers around twenty climbing spots of all levels, from beginners to seasoned pros, a variety of routes are available for climbing sessions on cliffs, blocks and adventure courses. Discover the compact and sculpted basalt on the big climbing routes of the Piton de Sucre, where you’ll overlook the famous canyon of Fleur Jaune in a wild and aquatic environment that you won’t soon forget. Experience the breathtaking views of the Piton des Neiges and the Red Bras Valley while the sun warms your back and the routes raise your heart rate. 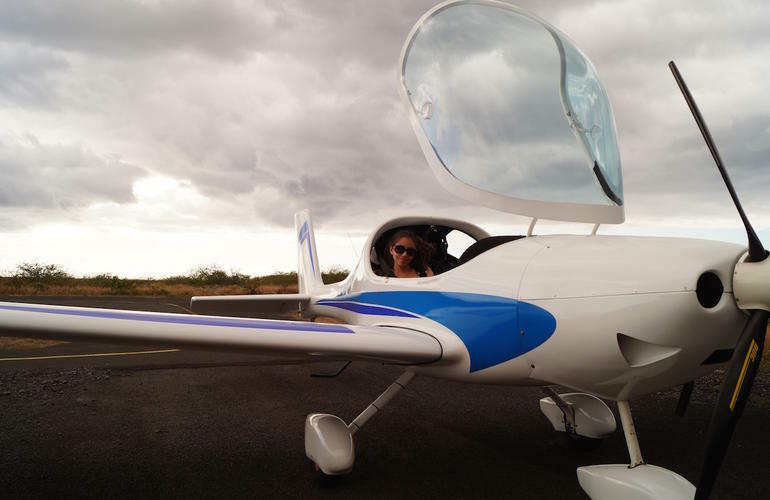 What better way to discover the island and take in the view than in a lightweight 1 or 2 seater fixed-wing aircraft! Fly south for a coastal journey that’ll lead you to the Premiere Francais Cave in Cape Marianne, then, after crossing the Ducap Lahoussaye savanna, explore the Saint-Gilles-les-Bains in search of dolphins, turtles and humpback whales. The flight is also tailored to give you memorable panoramic views of the Salazie and Cilaos craters. Climb even higher to the Maïdo for a spectacular and unforgettable overview before a descent through the forests and then to the Trou lagoons where you’ll sembark a safari around Saint-Gilles-les-Bains looking for the marine mammals that populate the waters of the island. Finally, end the flight with a spectacular detour through the Hermitage pass to round out a day you’re likely never to forget. We will avoid talking about the famous surf spots that are currently forbidden to enter due to the tragic shark attacks that have plagued this splendid island in recent years. Even if the biggest names in French surfing come from this beautiful island, surfing, body boarding, SUP and water sports are not really allowed on Reunion. Until the authorities find a solution, access to the ocean is prohibited. Nevertheless, Reunion is still a destination waiting for you to come and discover its wild beauty and extreme activities with family and friends. Top picture : Bryn Atkinson, Bas VanSteenbergen, David Delassus et Theo Booy.